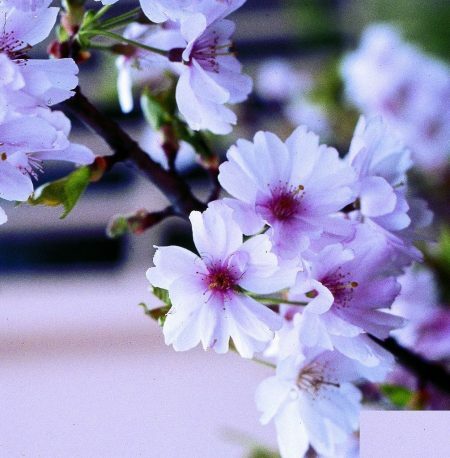 The Winter-flowering cherry is a small deciduous tree which flowers from November through to March. The flowers are semi-double and fairly small, producing a subtle fluttering of pink in winter months. The foliage turns from a deep green to orange-yellow in autumn. This pretty little tree remains small at maturity and forms a smart, rounded crown. Prunus subhirtella Autumnalis Rosea prefers a well-drained soil, avoiding heavy clay and water logged soils.